Ross recaps the Niners 34-3 win over the Raiders and then makes his picks for the rest of the Week 9 games in the NFL. On today's RTFP, Andrew & Ross talk about potential Josh Rosen trades, franchise tag trades, & the Raiders scouts being sent home in advance of the NFL draft. Elite 11 quarterback coach Paul Troth talks with Ross about the QBs in this year's NFL draft and next year's draft as well. On today's podcast, Greg & Ross dive deep into the cornerbacks & safeties in their final position breakdown before next week's NFL Draft. 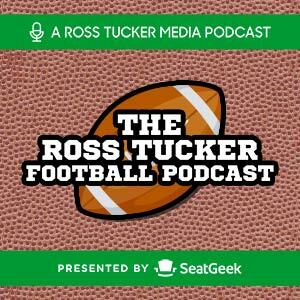 Andrew & Ross discuss Russell Wilson's new record setting contract, the NFL schedule release, & more on today's podcast. Longtime Miami Dolphins beat writer Armando Salguero joins Ross on today's podcast to talk about the Dolphins 'tanking' in 2019. On today's podcast, Greg & Ross talk linebackers, the LB evolution, sub packages, & who are the top LBs in the draft. Andrew & Ross talk about DeMarcus Lawrence, Russell Wilson, & the Packers dysfunction on today's podcast. On today's podcast, Ross & Warren discuss the NFL's 'Strength of Schedule' for 2019. They talk about which teams have a tough or easy schedule across the NFL. Greg & Ross talk D Line draft prospects on today's podcast.